In the Eastern part of Ecuador stretches "el Oriente," the jungle. Between the Napo and Curaray Rivers are 600,000 hectares of land that is the home of the Huaorani, feared warriors of the Amazon Rainforest. This territory includes Yasuni National Park, one of the most bio-diverse places on the planet. Unfortunate for the Huaorani, it also includes hundreds of kilometers of oil pipes and several oil company stations that are having a devastating effect on this fragile tropical ecosystem. 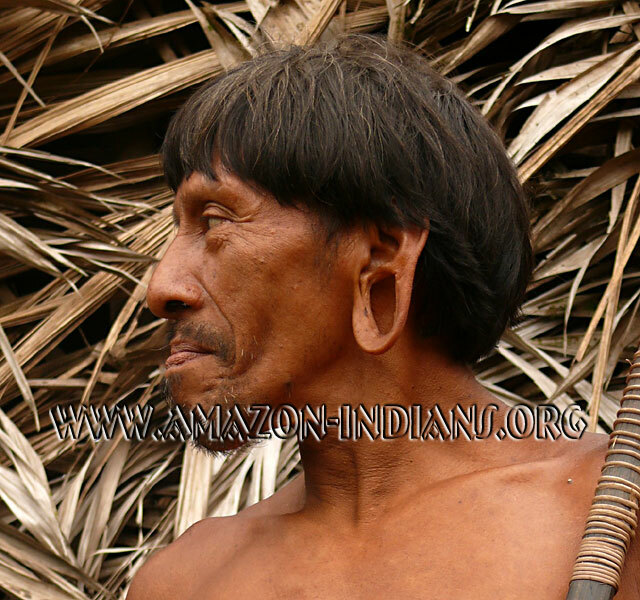 The Huaorani are also known as Waorani, or Aucas. In Kichwa (the language spoken by the largest indigenous group of Ecuador) "Auca" means "savage." To the Huaorani, this is a derogatory term and therefore, should not be used. In Huao Terero (Wao Terero), the native tongue of the Huaoranis, "Huaorani" means "the people." Huao Terero is a language isolate, meaning it does not belong to any other linguistic family. Due to encroachment on their territory by outsiders, there are fewer than 2,000 Huaoranis left today. The Huaorani were contacted only 50 years ago. Before that time, these hunter-gatherers were roaming in small groups on an area three times bigger than their present day territory. Recently, the Ecuadorian government granted the Huaorani communal rights over their current territory. However, the government maintains ownership of the minerals and oil that lie beneath; thus the Huaoranis do not fully own their land, a situation similar to the Matsés Indians living in Peru.